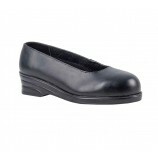 A selection of ladies safety boots and shoes from some big brands such as CAT, Dickies, Dr Martens and Cofra. Women's safety boots tend not to be quite as wide as unisex boots. Many women find that, with a men's boot, even if the foot size is correct the boot is uncomfortable because their foot has too much room to move side to side. Safety boots specifically made for women overcome this problem. 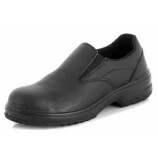 Our range of ladies safety boots is also available in some more feminine designs than standard boots - great for women who need toe protection but don't want to wear 'clumpy' boots. 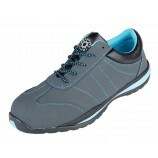 We think you'll find a good balance of safety, looks and comfort in this range.